KLH Receives Nadcap Accreditation for EDM | KLH Industries Inc. The criteria for Nonconventional Machining aim to standardize the technical inputs and variables of the EDM process, such as electrical conductivity and dielectric flushing. 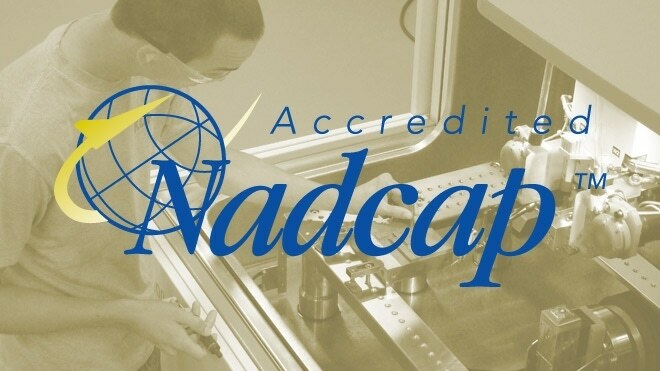 Nadcap criteria are designed by the collaborative effort of industry and government experts from around the world. As an AS9100 certified, Nadcap certified, and ITAR registered machining supplier, KLH is ideal for aerospace projects that have defense-related applications. Not only will KLH meet stringent industry and customer quality requirements, but will also handle export-controlled projects with the utmost security.